Drivers of Formula E cars may soon no longer have to change cars midway through the race, thanks to a battery coating technology developed by XALT Energy of Michigan and Oak Ridge National Laboratory. By depositing a nanoscale layer of alumina on oxide cathodes, researchers have increased battery energy density by up to 30 percent. "This work highlights the dominant effects of surface chemistry on active material performance," the authors wrote in their paper published in Scientific Reports. ORNL co-author David Wood III noted that the results are encouraging not only for drivers of race cars but also for passenger electric vehicle manufacturers and consumers. This new technology could be on the racetrack as early as October 2017. 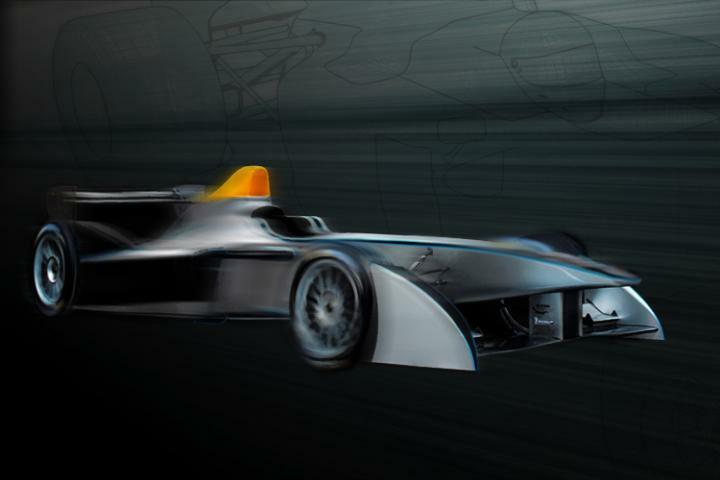 [Contact: Ron Walli, (865) 576-0226; [email protected]]"
Cutline: Future Formula E cars could be powered by batteries that feature up to 30 percent increased energy density. Cutline: A superhydrophobic additive increases resistance to water, soiling and microbial growth. Cutline: This map depicts locations of trap states (in purple) in a hybrid perovskite film, with emission and overall photoexcitation distributions measured directly using multimodal ORNL optical imaging techniques. Cutline: Microwave imaging (left) reveals conducting ferroelectric domain walls (right) in lead zirconate titanate. Before microwave microscopy, it was difficult to detect electrically conducting ferroelectric domains. Measurements also suggest the "rough" shape of these walls, indicated with dotted lines in the inset (far right), enables the alternating current conductivity.